Don’t blink. They’ve released another teaser trailer for Toy Story 4 and it’s not much. 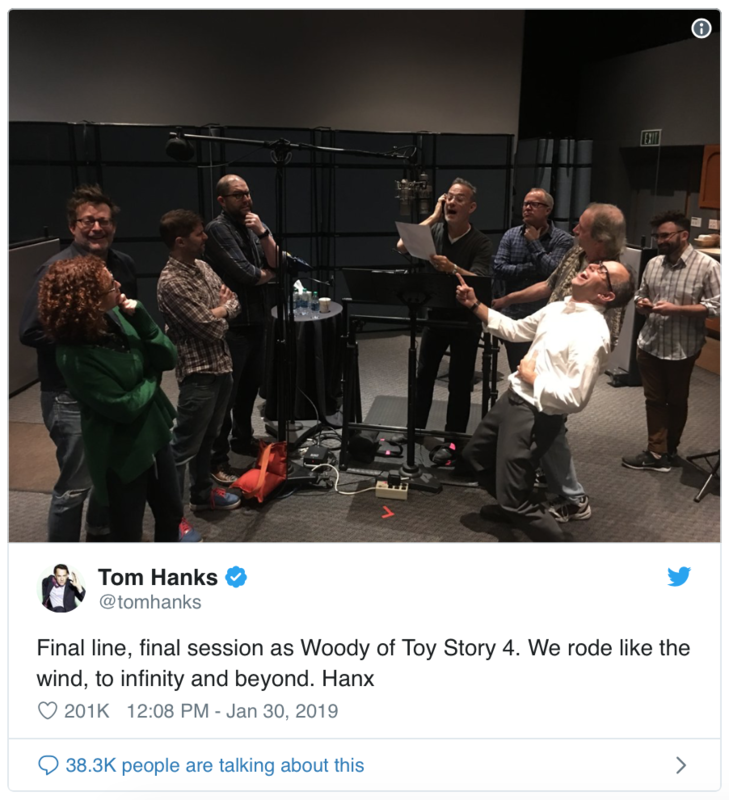 Meanwhile, actor Tom Hanks shared this backstage screenshot after he wrapped up voicing his lines for “Woody”. Toy Story 4 is being released to theatres June 20th 2019. What’s your favourite animated movie all-time?